A painter's life and work, under constant ambush by the disease Systemic Lupus Erythematosus, is described with an insistence on love, memory, and creativity. Unique both as autobiography and as encouragement, Jude Clarke's graceful, poignant portrayal is accompanied by full-colour reproductions of her paintings reflecting her personal growth during her long struggle with Lupus. Illness and despair find their counterbalance in Clarke's exploration of the roots of self in memory, place, and family. 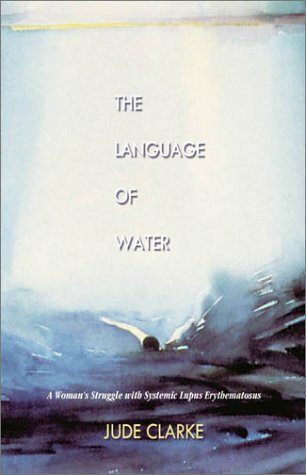 The perfect book for those who suffer directly or indirectly from this difficult malady, The Language of Water is also a compelling work of literary autobiography that examines the intricate issues of women's health and creative expression. If you have any questions about this product by Brand: Thistledown Press, contact us by completing and submitting the form below. If you are looking for a specif part number, please include it with your message.